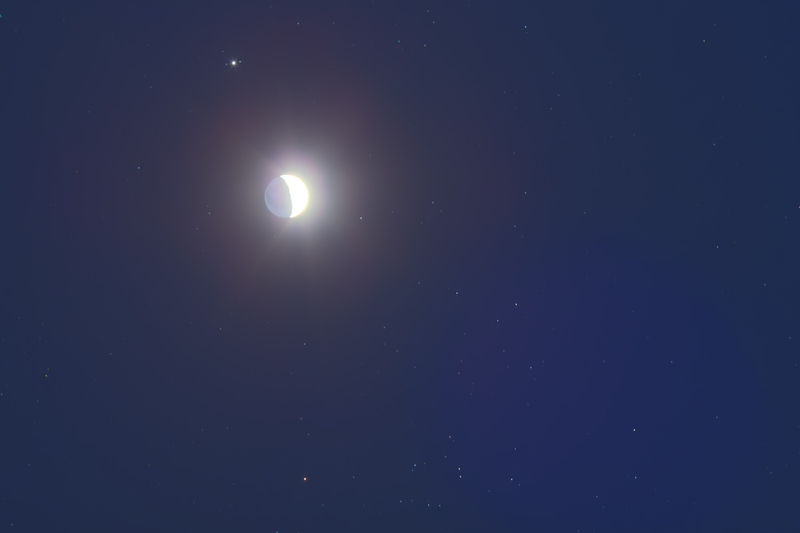 On Sunday night, March 17, the waxing Moon came very close to Jupiter and the Hyades star cluster for one of the best conjunctions of the year. This was certainly a night to remember. Minutes after I took the images for this shot, I took the frames for the Comet over the VLA image in the previous post. Here, I caught the Moon shining just below Jupiter (you can see a couple of its moons as well) and just above the Hyades star cluster and the bright yellow star Aldebaran at the bottom of the frame. All are set in the deep blue of twilight. 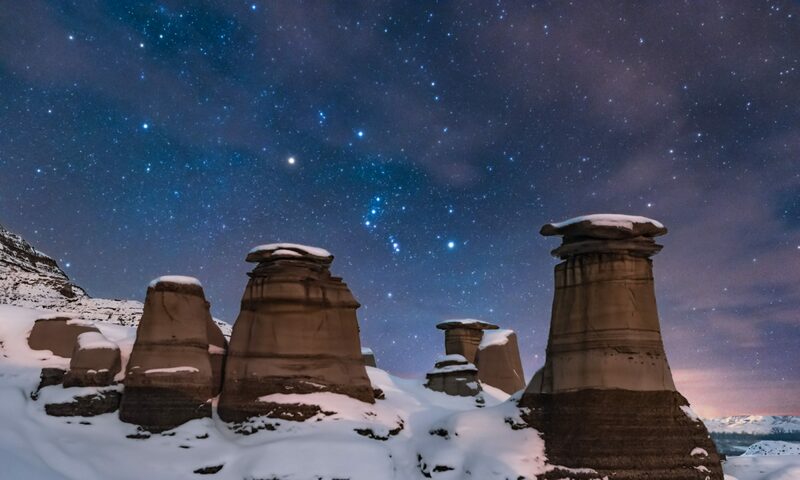 This is a high dynamic range (HDR) stack of seven exposures ranging from 6 seconds to 1/13 second, to capture the huge range in brightness from the sunlit Moon to the faint stars. Even so, the daylit side of the Moon remains overexposed. But the “dark side of the Moon” lit by Earthshine shows up well. A 135mm telephoto frames the field much as binoculars would show it. This night recalled a similar evening on April 10, 1997, when Comet Hale-Bopp appeared low in the northwest, much as PANSTARRS is now, and the Moon actually passed in front of Aldebaran. An aurora display also broke loose that night, but not so last night – they are unlikely from New Mexico, though some northern lights were seen the night before from as far south as Colorado.